Colorado's legislative climate might be a bit onerous compared to Texas, but the basin still remains a relatively benign place for exploration and production, and yes the oil majors are all there poking around the place. 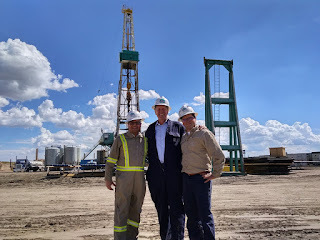 Also, what won't surprise regular readers of this blog one bit is that regional activity is being bolstered by - you guessed it - the independent upstarts, or new-age shale wildcatters as the Oilholic prefers to call them. In this august group is London-listed Highlands Natural Resources (HNR), the brainchild of entrepreneur and local oilman Robert Price, and his close-knit group of geologists, engineers, financiers and consultants. The company's simple but effective motto – in Price's own words – is to deliver projects "safely, on time and on budget." The company has farmed out acreage from ConocoPhillips out in East Denver, is not only trialling Halliburton's cost and process optimising Integrated Asset Management (IAM) suite of techniques to the fullest, but also has a stake in its operations from the global oilfield services company itself; a rather unique scenario. HNR's site in the Lowry Bombing Range, East Denver (see above left), visited by this blogger in Price's company, sees just the sort of savvy operations predicated on big data that we often hear about in the popular press. 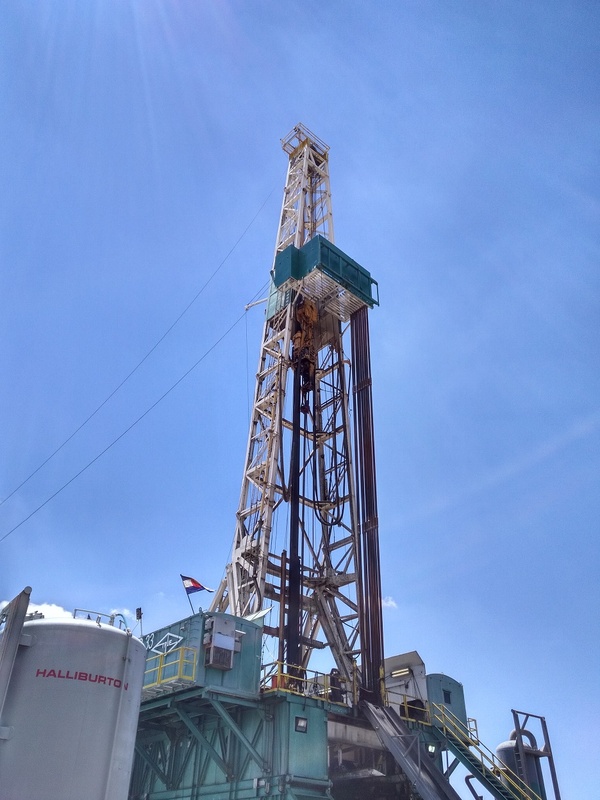 For example, in an area where players are attempting to drill 16 or 24 wells in the same pad, Domingo Mata, HNR's Vice President of Engineering, says his company has opted for 8 wells, as studies have convinced the management that fewer wells will provide a better yield. "We also keep an eye on the minutiae of the drilling process via a plethora of sensors. 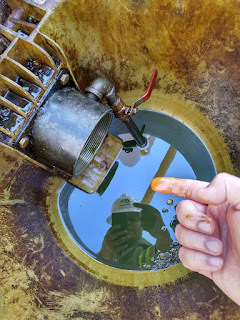 That's how we gather data and learn lessons from the drilling process in the case of each well, and bring about a sequential reduction in drilling times by improving upon past processes based on what the data revealed about the last round of works," Mata adds. In some cases, that drilling time has come down to 10-14 days; and we're talking depths in the range of 17,000 to 19,000 feet. Price says optimised operations are the bedrock of his company and together with his chief geologist Paul Mendell, HNR is "astute and prudent" in managing its exposure to what has been, is, and will always remain, a high risk, high reward business. On the East Denver site the Oilholic had a walkabout, HNR now has a 7.5% carried interest in first 8 wells to produce at the project with additional upside potential to own 7.5% interest in up to 24 wells at no extra cost. The arrangement is boosted by a strong working relationship with majority holder True Oil. 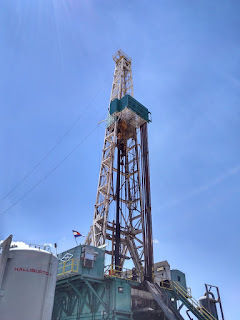 The site carries a potential yield of 5,000 barrels per day (bpd) of one of the sweetest and best crudes (see right) this blogger has seen since a visit to Oman back in 2013. The product is currently being brought to market via tanker trucks, but will soon be hooked up to ConocoPhillips' pipeline infrastructure. And HNR has received £2.9 million of income during four months up to 31 March 2018 from just two wells – Powell and Wildhorse – which sit in the top 3% of all horizontal DJ Basin (Niobrara) wells in Colorado. Not wanting to sit on its existing plays, the company is now eyeing West Denver prospects. 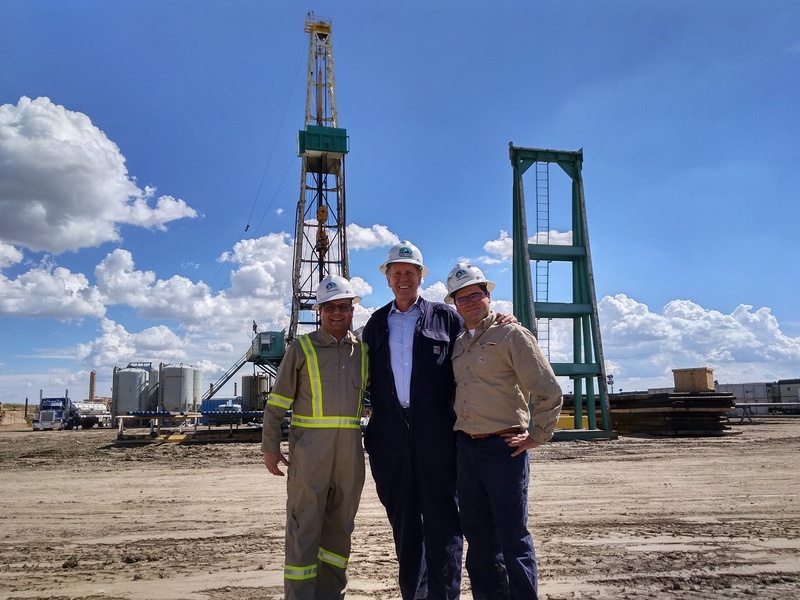 HNR owns a direct 100% working interest in leases covering 2,721 acres in the area, where Price reckons his team, partners, contractors and affiliates can collaboratively drill at least 48 wells. What's more the surface area is largely free of urban development and consolidated into closely grouped parcels, and may allow HNR to move through Colorado's permitting and development processes quicker relative other statewide plays. Price and Mendell have also made it their mission to diversify HNR. The company is looking to market and monetise its DT Ultravert technology for enhanced oil recovery, which it claims will help the wider industry achieve at least a 15% increase in production. It has been proven to prevent 'well bashing' in horizontal and vertical wells. If the monetisation of DT Ultravert takes off, it could be a game-changer for the company, which is incidentally also in the business of Helium and Nitrogen plays. All things considered, could Team HNR be described as 'Shale Gale' mavericks? "I think prudent, efficient, low-risk operators would be what I'd humbly describe us as," says Price. Well there you have it folks! It was a pleasure exchanging views with Team HNR (above) and seeing what they are up to. Depending on whom you rely on, ranging from the US Energy Information Administration's projections to estimates by the likes of Anadarko Petroleum, the DJ basin could hold up to 4.5-5 billion barrels of oil equivalent for viable extraction (including natural gas liquids). That suggests there's plenty going around for the likes of HNR to continue tapping away at the reserves in their own cost optimised way. So here's to ingenuity and the spirit of private enterprise that has come to symbolise the shale revolution. That's all for the moment; keep reading, keep it ‘crude’! © Gaurav Sharma 2018. Photo I: Highlands Natural Resources' East Denver drilling site. Photo II: Glimpse of Denver light sweet crude produced by Highlands Natural Resources. Photo III: (Left to Right) Gaurav Sharma with Robert Price, CEO & Chairman, Highlands Natural Resources, and Domingo Mata, Vice President of Engineering, Highlands Natural Resources © Gaurav Sharma, 2018.